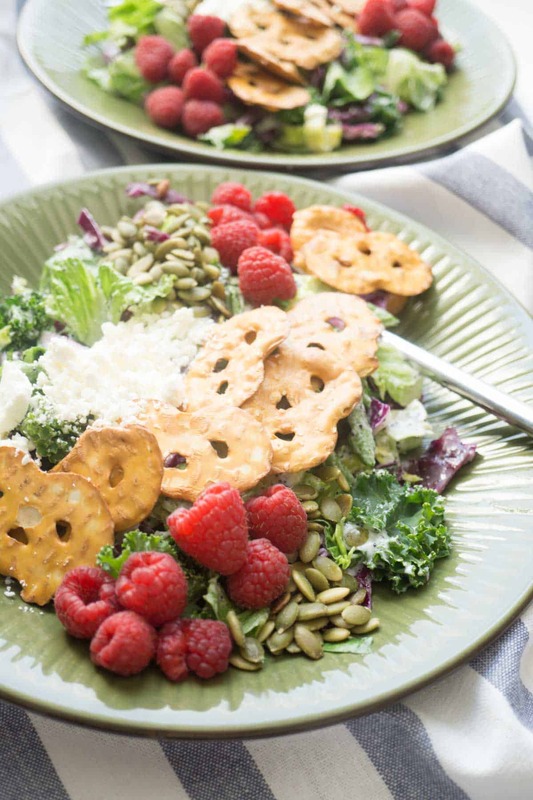 A healthy raspberry pretzel salad that’s worthy to be called a meal! 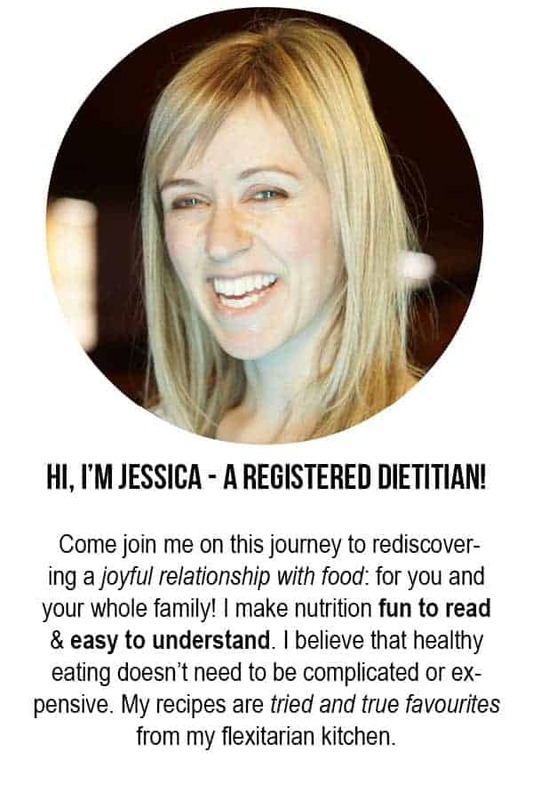 Contains heart healthy ingredients to nourish your body and delight your tastebuds! I bought some pretzels to make these adorable reindeer celery sticks. At the same time, I was making a salad to go along with the meal and a brainwave hit: PUT THE PRETZELS IN THE SALAD! Why had I never thought of this before? 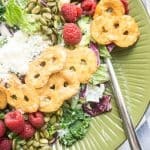 Pretzels are perfectly crunchy and salty like a crouton! Not to mention that they’re so, so tasty! 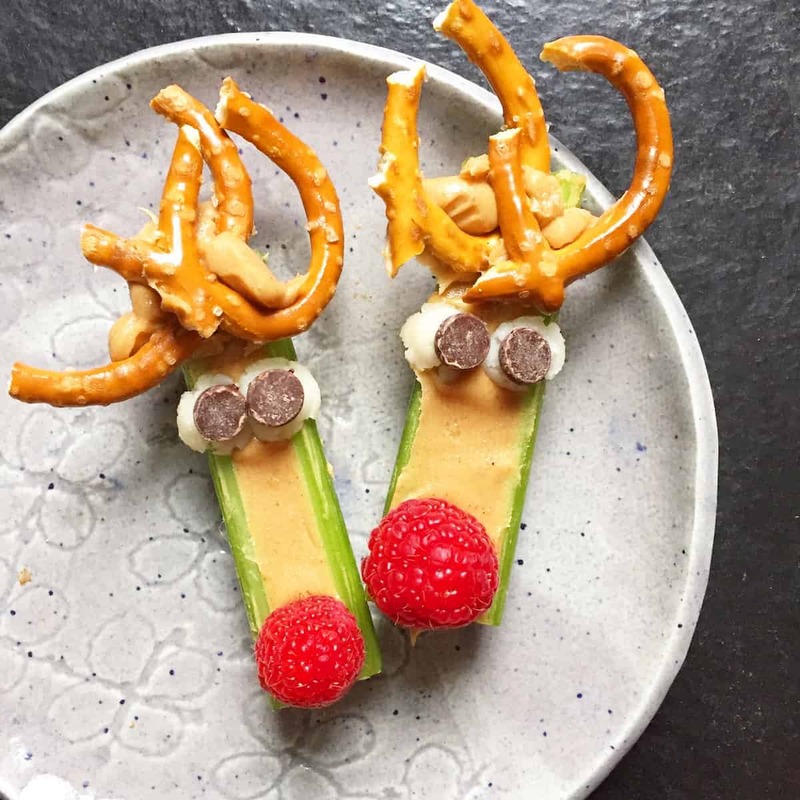 Side note: If you think this reindeer is cute and you want more FUN FOOD ideas for your kids, follow my kid-focused Instagram account @happyhealthyeaters! I had a “salad” the other day at my parents’ house. The recipe called it a salad, but we actually ate it for dessert! It was a strawberry pretzel salad made from a sweet pretzel base in a 9 x 12 pan, a sweet cream cheese middle layer, and a strawberry jello top layer. It was a delicious dessert, but how on earth can that be called a salad? What exactly is the definition of a salad? Where are the salad police when you need them!! 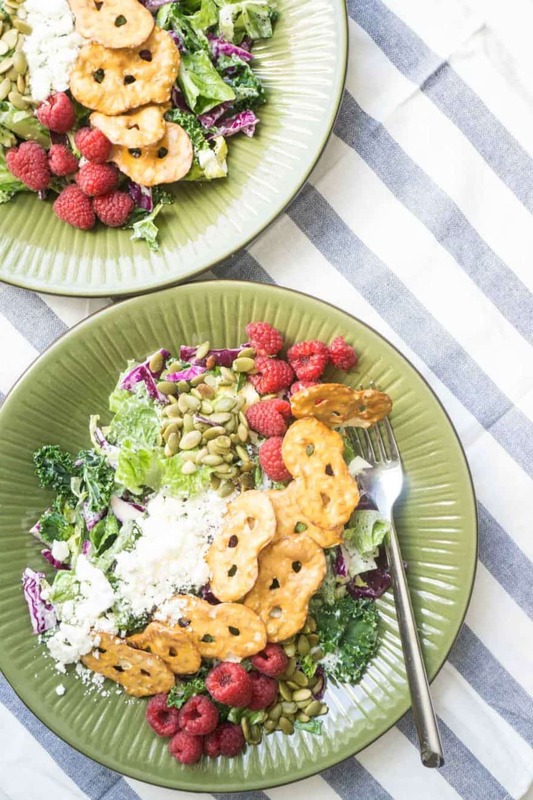 Well, this raspberry pretzel salad is a legit salad, for real! Rather than a dessert, it can actually qualify as a meal! It starts off with a base of healthy leafy greens, which nourish your body with Vitamins K, A, C, B, and minerals such as potassium, magnesium, manganese, and calcium. The raspberries provide a healthy dose of fibre. The pumpkin seeds have healthy fats, protein, iron, and zinc. The pretzels provide some carbs for energy. 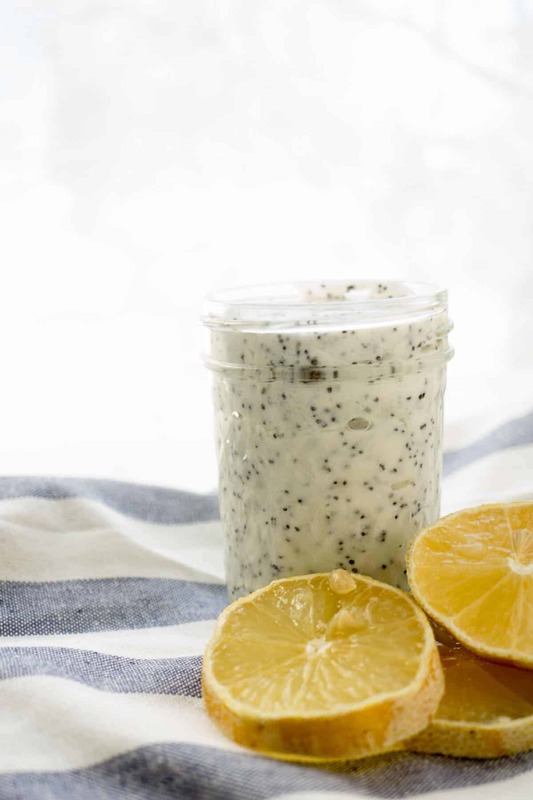 The dressing is low in sugar and contains gut healthy probiotics from the yogurt! Whisk together all the ingredients for the dressing. I like to use a 2 cup mason jar so that I can easily store it in the fridge. Drizzle with the dressing and toss to combine. Packing this salad for lunch? Learn how to make a week’s worth (with this tutorial) to keep in the fridge in order to easily grab ‘n go!